What you have all been waiting for is finally here! 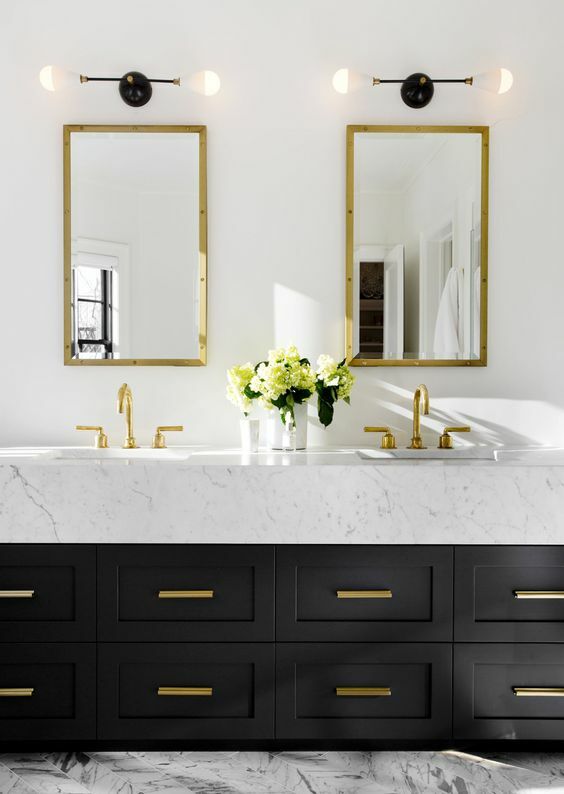 Well, ok, maybe it's just us, but a good cabinet knob or pull is as important as the cabinet design / style like we discussed on our Guide To: Custom Bathroom Vanity Styles post from yesterday. I learned early on that it is imperative to choose your knobs and pulls carefully, specially if you are particular about how they feel on your hand. Not only this, choosing the right cabinet hardware will seriously elevate the look of any cabinet and the overall design scheme of the space. 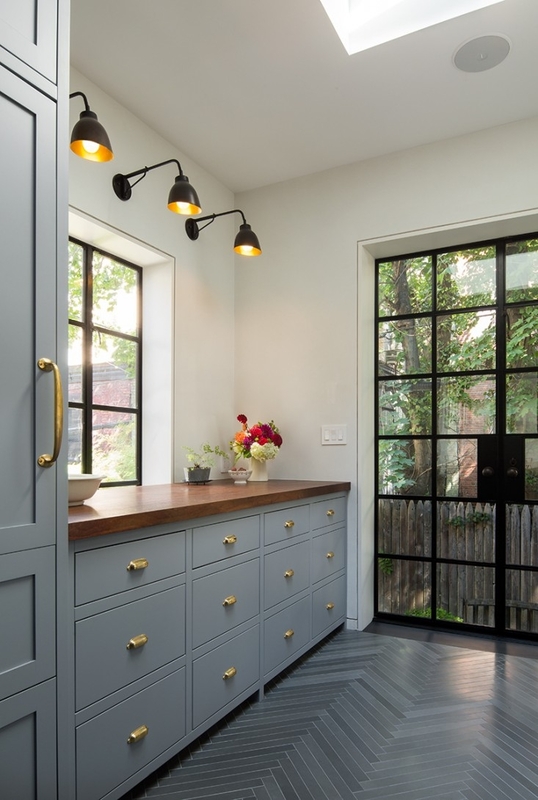 Don't think of hardware as a mere finishing touch, instead consider them both beautiful and practical features that will help enhance your cabinetry. We thought it ideal to bring you a roundup of, you already know, "just a few" of our favorite hardwares. In case you've been wondering, it actually started as a mini saying in my head, the whole "just a few" tag. In short, I always want to share so much and in reality I have so, so many sources (hundreds to be exact) that it is nearly impossible to share the true extent of my favorite things. In my head I kept saying "Oh man, I have so many things to choose from, I'll simply end up posting "just a few" of my favorites on the blog". One thing led to another and the phrase stuck with me. Now, I categorize all of our 'roundup' posts with this tag. I find it a pretty accurate way to describe that I'm only sharing a few of our favorites. Whoa, went off on a tangent there... Back to knobs and pulls. There's no better way to title this next section as a lot of the pieces we're featuring here are very much sophisticated, classic and timeless. Gotta love the simplicity of some things, no? By the way, when I was running my blog solo, I posted a roundup of my favorite knobs and pulls - check it out if interested. I definitely still love the ones featured on my old Endevourly blog. 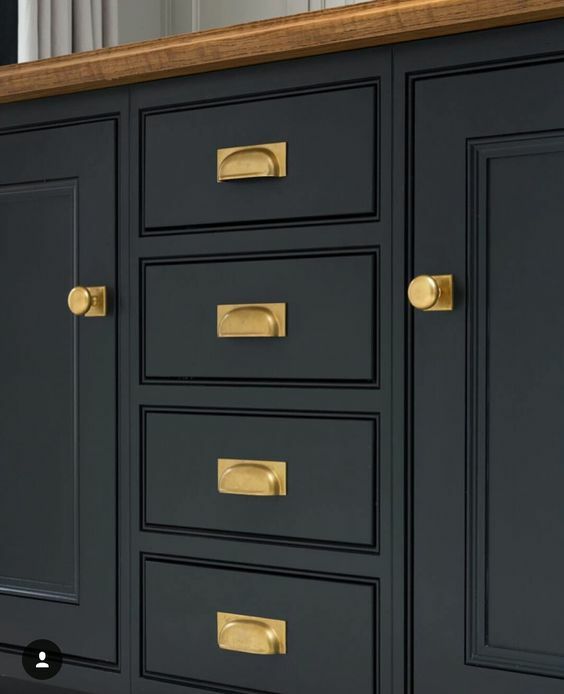 There are many different hardware finishes, though when choosing brass hardware, we recommend a satin or antique finish because the subdued finish coordinates better with all sorts of applications and spaces. Polished brass seems a bit cheap to us (sometimes). Which ones do you like and where would you install them? I like #16 a lot... I've got a thing with latches :D We'll be sharing our roundup of polish nickel hardware, next, which coordinate beautifully with brass due to their yellow undertone.